Editor’s Note. 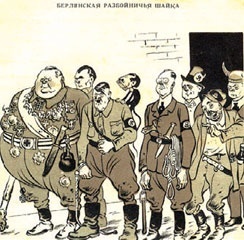 Kevin McNeer, an American documentary film maker living in Moscow recently made a documentary about the life of Boris Efimov, one of the most famous Russian political cartoonists of the 20th century. In this article, Kevin shares some of the insights he gained during his meetings with the artist. 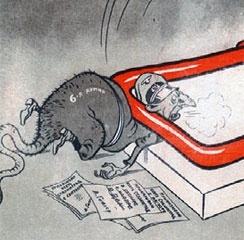 The political cartoonist Boris Efimov drew his way through the 20th century in Russia. 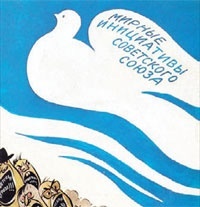 By the time he passed away last year at 108, his pen had churned out political cartoons for Soviet newspapers and magazines on just about every major world event of the past hundred years. 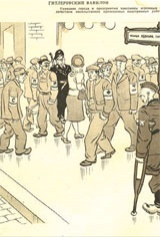 Whether it was during the dark days of WWII, when Russia faced annihilation by the Nazis – who had orders to hang Efimov on sight – or during the super- power days of the Cold War, Efimov always had an inexhaustible supply of images and jokes to deploy against the enemy. His list of satirical casualties ranges from the Tsar to Ronald Reagan, from the epoch of the horse-drawn carriage to the space age. I first met Boris in 2005 at his apartment on Kutuzovsky Prospekt, just across the Moscow River from the White House, when I arrived with a film crew to make a documentary film about him. At 104, he was still drawing, answering letters, writing articles and exercising his ever felicitous wit. The film was initially planned as a short, cute portrait of an ancient man who had witnessed some of the most momentous events in the 20th century – the Russian Revolution, two world wars, the Stalinist Terror – and, miraculously, survived them. 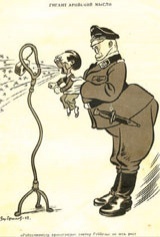 I wanted to take the viewer on a visual odyssey through the whole century using Boris’s countless political cartoons. But these plans took an unexpected turn when, in preparation for the shoot, I read his autobiography. Much of the book was devoted to Efimov’s older brother, Mikhail Koltsov, a famous journalist who was arrested and executed under Stalin. I became increasingly interested in the brothers’ relationship to each other and their relationship to Stalin. How could Efimov have continued working for a regime that had killed his brother and best friend? What was his attitude toward Stalin now? This is what we ended up discussing for hours over the course of several summer afternoons, with Efimov taking breaks to draw, browse through his old photographs and cartoons, and recommend books I should read, such as Trotsky’s autobiography, My Life, or The Count of Monte Cristo (better in the original French, he advised). 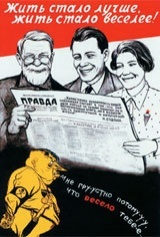 It was Koltsov who brought Boris to Moscow, who helped him find work as a cartoonist. Koltsov was well connected, and by the 30s, his was a star on the rise. He covered the Civil War in Spain for Pravda, palled around with Earnest Hemingway there and wrote a book about it that made him the most famous journalist in the Soviet Union. 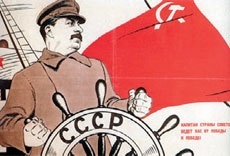 With Stalin’s encouragement, he was made an editor at Pravda and a deputy in the Duma. 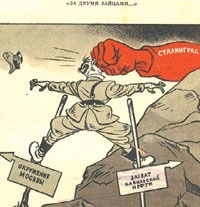 And Efimov, for his part, was already being published regularly in the country’s biggest papers. Both brothers were celebrities. Only after Stalin’s death, did Efimov learn that his brother had been executed. Then one day, Stalin dropped a macabre hint to Koltsov: “Comrade Koltsov, have you ever thought of shooting yourself?” Efimov’s older brother was spooked, but he continued to work for and believe in Stalin’s regime. Just over a year later, he was arrested and officially sentenced to 10 years in a labor camp. Only after Stalin’s death, did Efimov learn that his brother had been executed. Boris thought, and answered, “It would seem he must have understood that Stalin was doing it. But why? It was strange. It didn’t make sense. Stalin was such a wise person. Koltsov would tell me his jokes, observations and responses. He liked Stalin.” The more I learned about Koltsov’s activities in Spain, the clearer it became that he worked very closely with Stalin and that he was likely responsible, or at least aware of executions of supporters of Franco carried out there, i.e., Koltsov, whatever his noble intentions might have been, also probably had blood on his hands. The marathon interview sessions wore on me, and they must have worn on Efimov. Not only his age but the fact that we were talking about his life, his brother’s death and events that had deep emotional resonance for him. Often Boris would suddenly stop the interview and thank us – with excessive politeness – for coming, in a not-so-subtle hint for us to leave. But other times, he became so engrossed in the story he was telling that it seemed he could go on through the night. Once, when I asked him if he were tired, he shot back with a smile: “Are YOU tired? Maybe YOU need a break?” And so he went on with his stories, listing full names and dates from the 20s and 30s as if he were reading from a prepared text.